A new kitchen can add value to a home, according to real estate agents. CabinetDIY, a leading supplier of RTA Cabinets, has put together some tips that can help increase a home's value. Real estate agents have said the quickest way to add value to a home is to install a new kitchen and floor. CabinetDIY, a leading supplier of RTA Cabinets, has put together details of new kitchen trends for 2016 that can help increase the value of a home. These new trends will help make their property more saleable. With a large number of real estates available and with property owners competing against each other to sell their property in the shortest time possible, it’s now important to make the property stand out. CabinetDIY feels the following trends will provide property sellers with a kitchen that could reduce the time it takes to sell their home. When looking to remodel a kitchen, it's important to install a kitchen that provides long-term flexibility. One of the biggest mistakes a homeowner makes when selling their property is to purchase a kitchen and a design a kitchen that they would like. It’s important to ignore personal taste and think about what would appeal to a potential buyer. 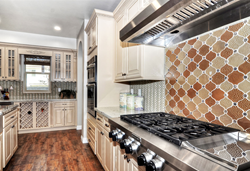 A current trend for kitchen designs is a kitchen with clean lines and subtle designs. Cabinets have become more affordable, allowing homeowners to find a clean design that would make the kitchen stand out. It is important to use subtle designs that would appeal to a wider number of potential homebuyers. Clean lines go well with black and white kitchens, providing a sleek design that provides people with a welcoming kitchen. These designs can be achieved through expert help that can be gained by CabinetDIY.